Currently, the treatment of pneumothorax varies among hospitals. Three factors account for the differences. First, pneumothorax expresses the state of disease instead of the disease itself. Some pneumothoraces heal on their own but patients with pneumothorax due to chronic diseases may need further intervention. The decision for the choice of treatment is up to the physician. Second, it is insufficient to treat pneumothorax with current treatment guidelines. Third, prognosis and follow-up after pneumothorax treatment is not well documented. Therefore, verification/assessment of treatment and its effect is insufficient. To prevent postoperative bulla neogenesis, the “covering technique” is most effective. Chemical pleurodesis has shown a great number of recurrences and has led to inconveniences, such as various results among individuals. Therefore, it should not be the recommended therapy. Intractable pneumothorax in elderly patients has been increasing year after year. 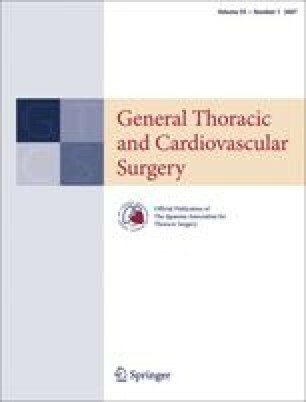 Interventional treatments such as endobronchial Watanabe spigot embolization and the thoracographic fibrin glue sealing method are expected to become more common in the future, keeping some patients from undergoing surgery. Causes are still unknown for certain pneumothoraces in women, and there are still numerous cases of postoperative recurrence among young males. Further studies in this field are expected in future. This review was submitted at the invitation of the editorial committee.